Purified Water, Cocamidopropyl Betaine, Sodium Lauroyl Oat Amino Acids, Sodium Laureth Sulfate, Glycerin, Aloe Barbadensis Leaf Juice, Glycereth-7, Prunus Armeniaca (Apricot) Kernel Oil, Panthenol, Acrylates/C10-30 Alkyl Acrylate Crosspolymer, Oleyl Lactate, Ethoxydiglycol, Triethanolamine, Salvia Officinalis (Sage) Leaf Extract, Borago Officinalis Extract, Phenoxyethanol, Methylparaben, Ethylparaben, Butylparaben, Propylparaben, Isobutylparaben, Saponins, Fragrance, Fd&C Yellow No.5. I use this in the morning because it is gentle and you don't have makeup to wash off. It is an excellent cleanser! It keeps my skin clear and fresh! My skin glows after I was it! Love it! 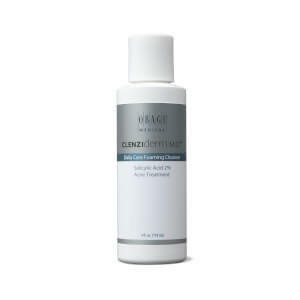 This cleanser works very well for me. I have oily skin and it makes my face feel so clean and not dried out. I will continue to buy this! I have used this product for the last 6 years. 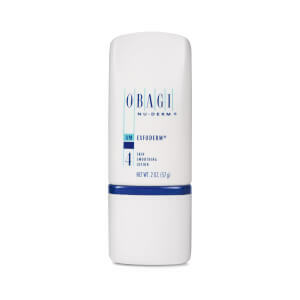 I have tried numerous products and always return to the Obagi Cleanser. My face is acne free and seems to have a glow....even in the winter when skin is usually dry and dull. I gave obagi products a try but never saw any major results(and it's pricey stuff!). Then I switched to PCA skin (try the starter kit) and was blown away by how great my skin was. That said, the obagi cleanser does OK, and I've been alternating it to use it up. Overall, this is a good cleanser, but I find it to be very drying. I have combination skin, and after washing my face with this cleanser my skin feels like it's going to crack! So I don't know if I would necessarily recomend it for those with very dry skin. It does a good job at taking off makeup though, and isn't as harsh as some other cleansers I have used. it makes difference into my skin i have tried a lot of different cosmetics and it doesnt work but obagi does. I have had adult acne for years, and about 5 months ago, started seeing a big difference in my face. Also, it is good to use retin A micro along with the the products at night. If you can, get a dermabraision done about once every two weeks, along with a facial, the difference in your skin will improve dramatically! Great cleanser! My dermatologist prescribe me Obagi products and my skin texture improves 100%. Products like the Blender and Clear, mixed with a little Retin A are fabulous, you should sell it too.